On January 30, 2014, Dr. Henry Barry, professor in the Dept. 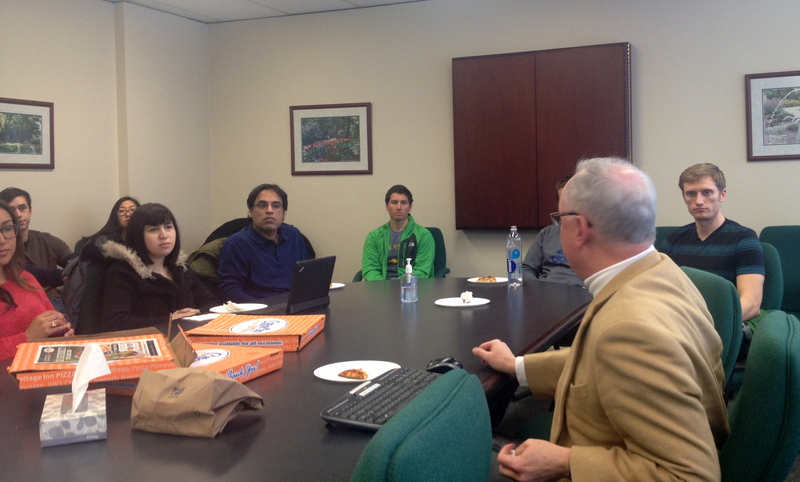 of Family Medicine and Associate Chair for Academic Affairs at Michigan State University’s College of Human Medicine, spoke to medical students in the MSRJ elective about his experiences as a peer reviewer and advocate of evidence-based medicine. In evaluating the peer review process, particularly as it exists in a profession constantly bombarded with new information, Dr. Barry spoke to the challenges associated with the critical appraisal of scientific information. Despite these challenges, Dr. Barry described how important it is that medical students engage in this process early and often throughout their careers. “Peer review is a very critical step that provides a great service to our discipline.” Since the MSRJ is reviewed and edited by medical students, Dr. Barry went on to share some advice on providing constructive feedback to authors. He expressed that reviewers have a responsibility to their submitting authors, working to ensure that the messages of the authors get communicated effectively. “The feedback you give to authors is critical to improving the quality and clarity of their writing.” The overarching purpose of the peer review process is to help the medical profession progress in a positive direction. Speaking from an evidence-based medicine perspective, Dr. Barry also discussed strategies that students can practice in order to accurately assess scientific literature and apply it to future patient care. “As a reader of research, you want to pay attention to information that might change the way you practice.” The advice and personal examples that Dr. Barry provided during his talk were helpful to the students, as all of them will become MSRJ reviewers and future physicians in a profession faced with continually increasing amounts of scientific research.